WHY: Tap your inner Grecian goddess to finish off summer with a pair of ethereal kicks from Ancient Greek Sandals. 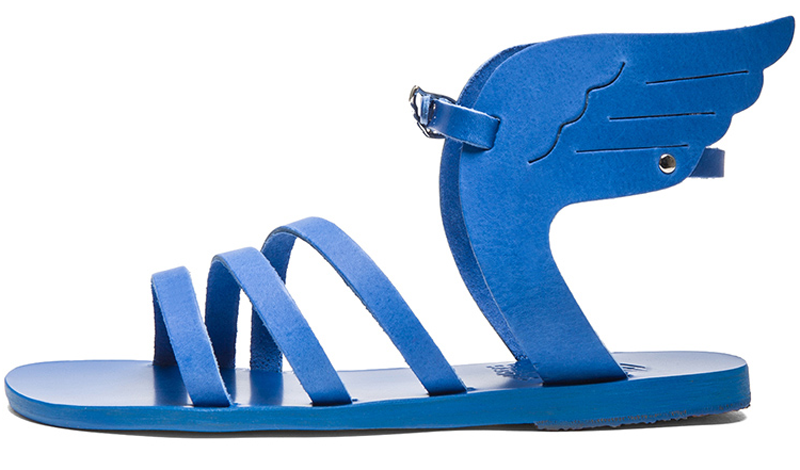 Inspired by the myth of Icarus, these statement sandals are anything but ordinary, starting with their electric blue hue. And while the petite winged design might having you flying high, the strappy details will keep you grounded and well-prepared for any adventures that may arise.